2013. Gipson’s appointment follows the organization’s May 2013 Volunteer Appreciation event where he was honored as Advocacy Volunteer of the Year. “I am excited about my new appointment to this great organization,” shared Councilmember Gipson. “I look forward to contributing to their efforts in a more meaningful way as a member of the Board of Directors.” In addition to his service as a member of the City of Carson City council and Chief of Staff to Jerome E. Horton, Chairman of the California Board of Equalization, Gipson has been a longtime Habitat for Humanity volunteer. Habitat for Humanity of Greater Los Angeles strives to eliminate substandard housing through advocacy, education and partnership with families and individuals in need to build decent, sustainable and affordable housing. Since 1990, Habitat for Humanity of Greater Los Ageles has built and renovated more than 800 homes locally and worldwide, transforming the lives of hundreds of individuals. 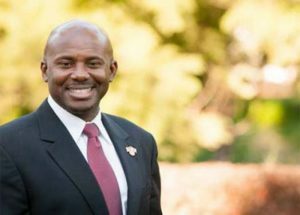 Gipson is currently running for the State Assembly’s 64th district, which includes the cities of Carson, Compton, Wilmington, and portions of North Long Beach.